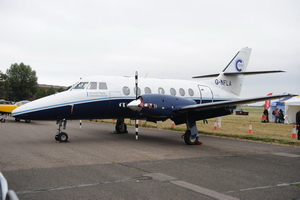 Cranfield Festival of Flight was to celebrate 70 years of flight linked to the University. Cranfield University is located near to Bedford, Bedfordshire and is now primarily a research centre as you would expect from a University. The campus not only has a runway suitable for a vast array of aircraft to land and take off bit is also having built a purpose built hanger that will be a huge laboratory. Financially backed by Rolls Royce & Airbus amongst others. The tour guides explained how the hanger / lab was going to work with wing sections and engines along with smaller learjet types being able to fit into the 40metre x 40 metre floor area, as long as it is under 6 metres high. The complex has the largest XXXXXX crane of its type in Europe. 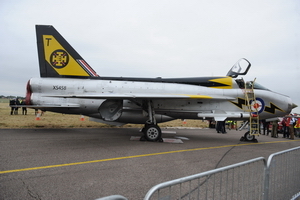 Prior to the airshow, parts of the campus were open to the public view what else goes on at the site. Including what can only be described as 3D printing but with metal rather than plastic, the metals used include titanium and aluminium which are both used in the aerospace industry. Rather than waste 80% of the material in manufacture they now use 80% and waste just 20%! There was a vehicle area, which included cars such as a Morgan +4, a 2002 Formula 1 Race car from BAR Honda (Jacques Villeneuve). 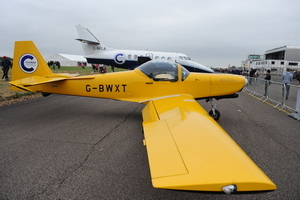 These were viewed by HRH the Duke of Kent prior to the airshow. With the tours complete it was time for the airshow, with so many aircraft planned it was going to be a good afternoon of flying displays. The organisers had sold out of their planned 5000 tickets, which was good despite the low cloud that was across most of the UK. 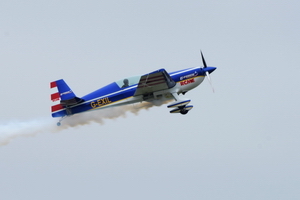 The show started with a very unusual combination of an Extra 300S flying with a scale model doing the same routine, this was so unusual to see and you can see why it won so many awards since the display started. This was followed by the Bristol Blenheim, this is the only flying model in existence. 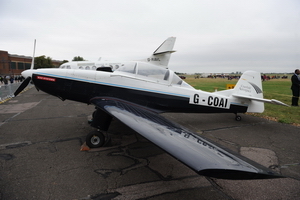 It started life as a Mk4 version but was then refurbished to a MK1 by changing the nose cone. The nose cone was found many years ago and kept safe just in case it became needed. 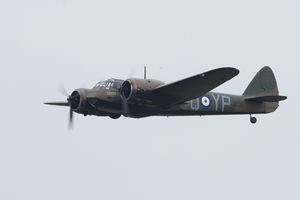 The Blenheim completed many passes of the airfield and was enjoyed by all present. Another favourite is the Mustang P9 display, the mustang took off from Cranfield to complete its display, which again was enjoyed by all. The display was limited by the low cloud base which was at about 1600 feet. 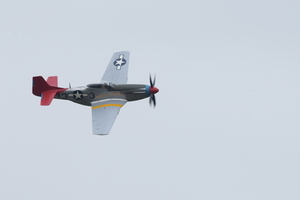 Once the Mustang had completed its display, it went very quiet and the announcement that there was to be no further displays today, as all the aircraft that were due to fly in and display were stuck on the ground with very low clouds at Duxford amongst other airfields and the poor weather conditions in the local area. 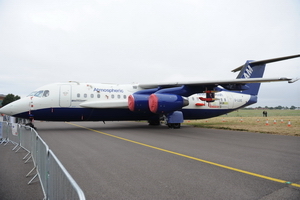 The static aircraft on display included many aircraft that are used at the site for research.